This week on Creative Tuesdays Michael’s challenge is “baked goodness”. As I thought about this challenge I realized that as a Christian I have this “baked goodness” every time I take communion. Michael gave us a link to the Great British Bake Off. And I see our communion as the Best Bake Off Ever. And then He went on to take the cup in Mark 14:23-24. The wine and the bread – a banquet for us. This is “baked goodness” at its best. It is free for everyone. Mix the dry ingredients, Add the wet. Since I don’t eat any grains here is a recipe that is Paleo friendly. This entry was posted in Creative Tuesdays and tagged banquet, bread, communion, Cornerstone, Hillsong, Saviour, wine on March 15, 2016 by JanisCox. lovely painting and thanks for the recipe! sweet painting for CT. I can’t cook/bake but I’m sure someone can use the recipe. That is certainly a novel way to interpret the theme, true. Great job on the bread painting, Janice. I love the colours and lights and darks on it. Thanks too for noticing how Kathy’s link needed to be fixed. 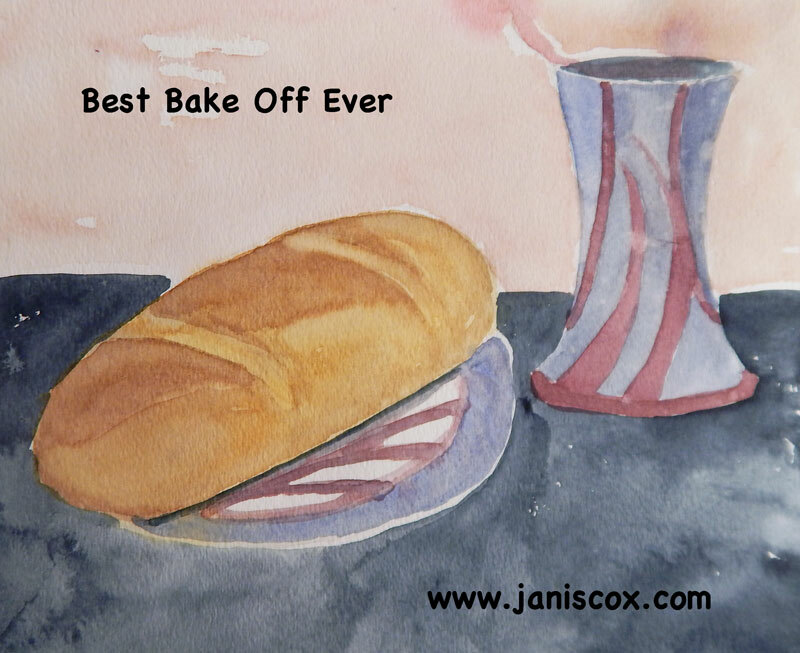 This is the ultimate most meaningful baked good Janis!